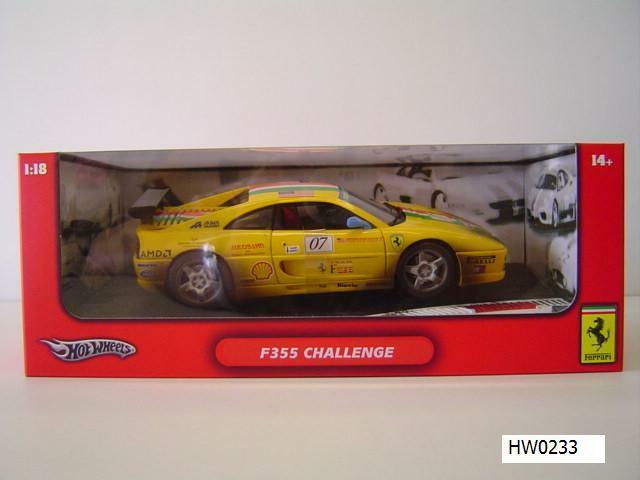 SALE Ferrari F355 Challenge Yellow Dirty Racecar Special 1/18 Scale by Hot Wheels SALE, $49.99 at Modena Motors Inc. Very hard to find Ferrari model by Hot Wheels Dirty race series!!!! 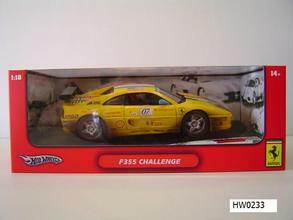 Stunning Giallo Modena (Yellow) with airbrushed dirt details, brand new in box. Long SOLD OUT and Discontinued by Hot Wheels!!! We managed to find the very last that were available. The detail is spectacular and the value is sure to go nowhere but up on this one. Limited edition commerating the greatest Ferraris. Payment by Pay Pal available with shipping in Canada and USA available. VERY LIMITED QUANTITIES AVAILABLE!! !